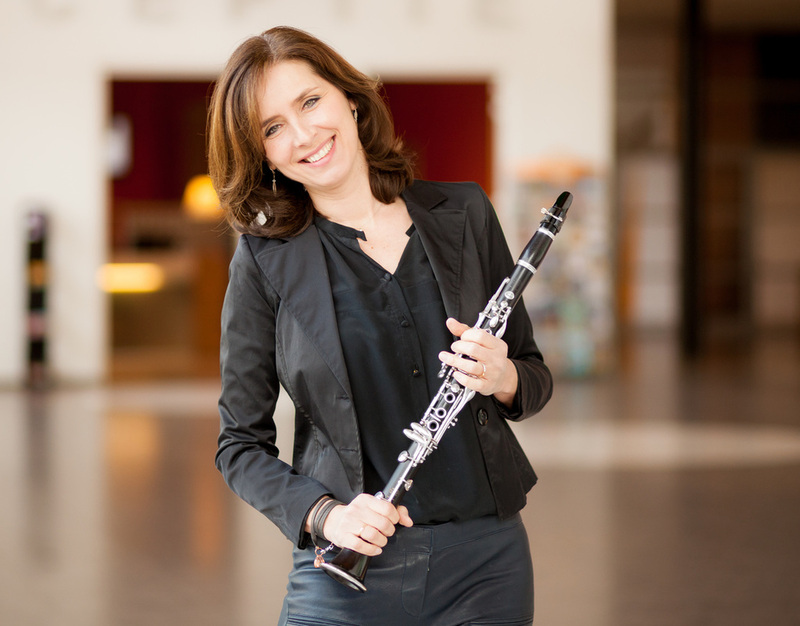 Yfynke Hoogeveen began to play the clarinet when she was eight years old. She studied with Reinier Hogerheijde at the Conservatory of Groningen, The Netherlands. Her training for performing musician was at the Conservatory of Arnhem where she specialised in chamber music. In 2004 and in 2008 she followed lessons with Ricardo Morales, teacher at Juilliard School of Music in New York, principal clarinettist of the Philadelphia Orchestra. Since her first years on the Conservatory she joined forces with pianist Loes van Ras. Together they form the Gauguin ensemble for twenty years now. Her cooperation with organ player Erwin Wiersinga is of later date. With him she performed in Holland, Germany and the Czech Republic. Together they recorded a CD in Hamburg: transcriptions for clarinet and organ of Schumann and Poulenc, amongst others. Together with Loes van Ras, Yfynke was ambassador for the Classical Music in the Northern part of The Netherlands.